The 2018 Chevy Traverse has just been revealed. Several updates and revisions have been made to this great crossover for the new model year. This includes the addition of several safety systems. 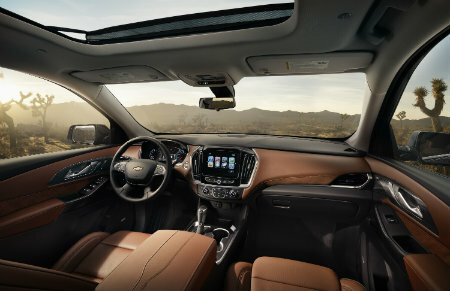 The 2018 Chevy Traverse new safety features will provide even more peace of mind to drivers and passengers. Lane Keep Assist with Lane Departure Warnings. Low and High-Speed Forward Automatic Braking. Blind-spot and rear-cross traffic monitoring system. These systems are also supported by a healthy collection of airbags. The 2017 model also earned a five star government crash test rating, the highest possible score. Crash test results for the 2018 Traverse are not yet available. 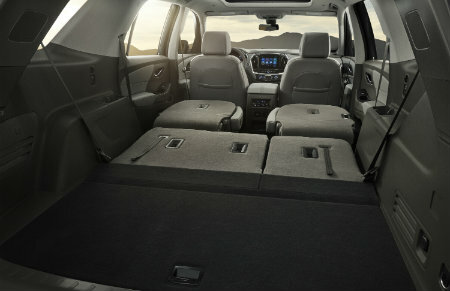 Read More: What else is new on the 2018 Chevy Traverse? In addition to all of these safety features, the 2018 Traverse will include Chevy’s Teen Driver feature as standard equipment. This system allows parents to set restrictions on learning drivers, and review driving performance after the fact. The 2018 Chevrolet Traverse is set to go on sale during the fall of 2017. Be sure to stop by Wolf Auto when it does to take a test drive. Wolf Auto offer several Chevrolet models in our inventory. Take a look at our selection to learn more, or stop by and take a test drive. This entry was posted on Monday, January 23rd, 2017 at 8:15 pm	and is filed under Chevy, Chevy Traverse, New Models. You can follow any responses to this entry through the RSS 2.0 feed. You can leave a response, or trackback from your own site. Together with every little thing that seems to be developing within this particular subject matter, your viewpoints are actually relatively stimulating. Nevertheless, I appologize, because I can not give credence to your whole plan, all be it exhilarating none the less. It would seem to me that your commentary are actually not completely validated and in actuality you are generally yourself not even wholly convinced of your assertion. In any event I did enjoy looking at it.